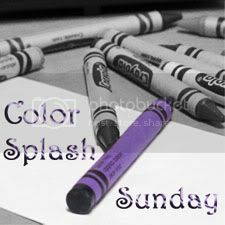 Anyway, I came upon this one and its a color splash photo challenge. This is my favorite photo I took of my ferret Waffles a few years ago. He just passed away this past October. He was 5 years old and I loved him dearly. This is a photo I took of him on our countertop, showing off his new Christmas sweater I had bought him. He looks so handsome, doesn't he?